The Red Maple is a Native tree to the Hudson Valley region. The tree can tolerate wet / saturated spring soil conditions found throughout the region in low lying areas. 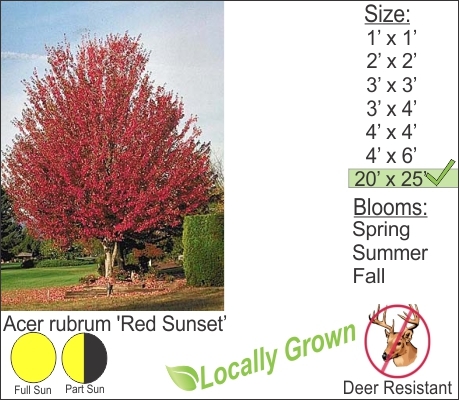 This tree is truly a beautiful tree providing shade in the summer and a brilliant blazing red autumn foliage color. Another good selection for estate plantings or lining your driveway that leads up to your home.